My wife and I just returned from a trip-of-a-lifetime. We were onboard an incredible ship with 1900 other amazing individuals enjoying amazing music that rocked us to our very core. 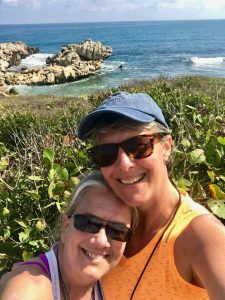 We visited Antigua, San Juan, Puerto Rico and Labadie, Haiti. OMG!!!! We had never been any of those places. Mother Nature is abundantly spectacular. Holy cow! We can’t wait to return and experience more of the people and the rich cultural history. As it turns out, we were blessed to be the first cruise ship to visit the Port in San Juan since Hurricane Maria, September 20, 2017. There are plenty of signs of the havoc the storm wreaked. Parks were still littered with trees, buildings were missing their roofs and windows and concrete sidewalks were crumbled as evidence of the fury of the storm. My heart went out to all that had experienced tragedy and heart ache during Mother Nature’s wrath in the Islands. Despite all they had experienced, it was heart-warming to see the people of San Juan happy, smiling, and laughing. It was renewing to my spirit and gave me hope. The people of the Islands were unfortunate victims that have rallied in the wake of unfathomable turmoil. But my heart was greatly saddened by the state of sickness and disease that surrounded me on the ship. My fellow brothers and sisters on the cruise were victims to the excesses of Western Society. The state of sickness and disease I experienced was nothing short of mortifying. I was shocked and in awe of what I saw. I’m not a huge fan of BMI (body mass index) as an indicator of health but morbid obesity was an unquestionable state of be-ing in well over 60% of my fellow cruisers. As we departed, I was not as focused on the wellness of my fellow passengers due to my excitement surrounding our trip. In contrast, in the airport on the way home I had several hours to internalize my experiences of the past week. I quickly went from disbelief to anger. While people-watching, I started counting. I counted every individual I saw until seeing someone that “looked” healthy. It wasn’t a scientific process just an observational process. At best, I observed a 50:50 ratio of fit to unfit-looking subjects. Worst case scenario, I counted 38 obese individuals before I found one that could be categorized as being just overweight. Then my wife and I went shopping. We were hours away from being able to sit for a decent meal, so we went in search of a healthy snack. My eyes were opened. We had to scour the Delta terminal to find anything that wasn’t filled with GMO’s, artificial sweeteners, and various other synthesized flavorings. It was then that I realized I was angry with myself. I realized it is my responsibility, as a doctor, to share my knowledge on how to play the nutritional game. I realized it is time for me to start screaming at the top of my lungs how to navigate the unconscionable food-science maze. This is my line in the sand! I pledge to be a difference-maker. I will speak out about the falsehoods being taught to the people about nutrition and foods that are good for us and bad for us. The public is being deceived by big words and fancy advertisements for the sake of the almighty dollar. I know there are people out there who would choose differently if they knew how. I am a beacon of light in the disastrous nutritional mine field of confusing information. Together we can navigate through the deficiency and toxicity that is crippling our nation in the form of sickness and dis-ease. 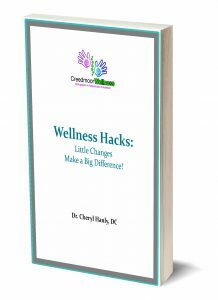 I just released my first e-book entitled Wellness Hacks: Little Changes Make a Big Difference. It contains simple, inexpensive ideas that can revolutionize your life and your state of health. 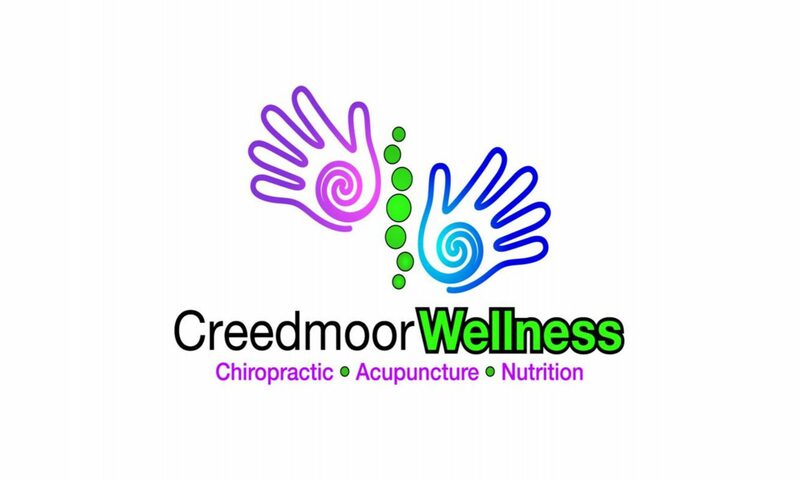 Creedmoor Chiropractic – Redefining Wellness! If being healthy was easy, our country wouldn’t be where it is today, sick and tired. Follow this blog to continue learning your way on the path to wellness. It’s a path of baby steps and together we will master it.